I was out of time and only had flat, early evening light so I am not thrilled with the photo, but here is a sneak peek at my entry for the Project Modern: Challenge 2. I will post some more photos soon when I get some better light. I submitted my entry for the contest with only five minutes to spare. There is quite a story that goes with this quilt and I will tell the story when I post the rest of the photos. This entry was posted in Create, Quilt, Sew. Bookmark the permalink. 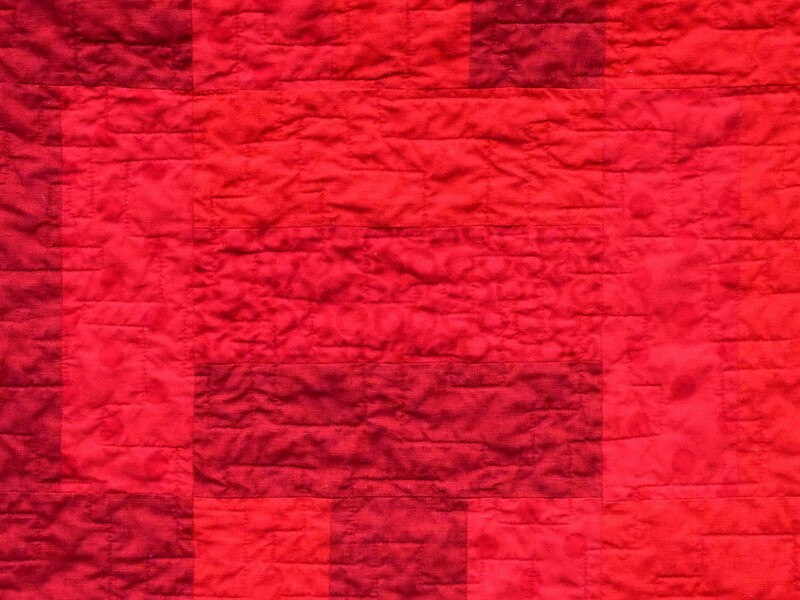 This entry was posted in Create, Quilt, Sew, Uncategorized. Bookmark the permalink.